: Cost of Uptown Cheapskate Franchise? How Much Does It Cost to Own an Uptown Cheapskate's Franchise? Owning a Uptown Cheapskate clothing & accessories franchise can be a lucrative business, but it does have some initial financial requirements. To open a single clothing & accessories location, the company requires that potential franchisees have liquid assets of at least $80,000. The franchisee startup costs associated with owning an Uptown Cheapskate clothing & accessories franchise are similar to those of Educational Outfitters. Uptown Cheapskate falls under the 'business services', 'computer & internet', 'home based business', 'home services' and 'retail' franchise categories. Across these multiple categories, it is further subcategorized under 'internet', 'advertising', 'jewelry, fashion, and beauty', 'real estate' and 'clothing store'. See how the investment level of Uptown Cheapskate's compares to those of other available retail related franchises. The resale fashion movement is growing. 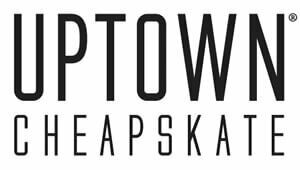 Join Uptown Cheapskate's award-winning team to provide your community with an unparalleled shopping experience. Our franchise owners provide stylish clothing at amazing value to our loyal customers. With an upscale store design and brand you can cater to more than your average second-hand shopper and maximize your opportunity. With a high level or support and training, an experienced marketing team, and IT support and technology, rest assured you will have all the support, training, and tools necessary to have a successful store. Uptown Cheapskate is not currently accepting new franchise inquiries through this site. Please see our comprehensive directory for currently available franchises near you.